For born again blonde hair. With low levels of pastel violet pigment, this conditioner helps expel brassy tones that creep up on blonde hair over time. 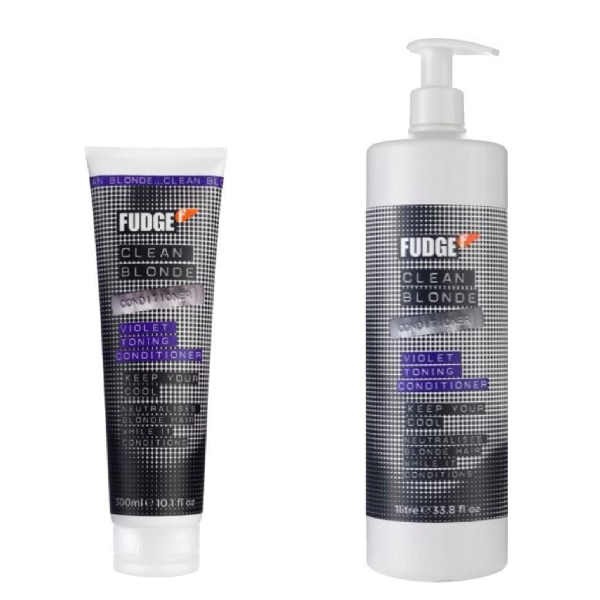 After shampooing with Clean Blonde Violet Toning Shampoo, squeeze out excess water from hair before applying. Rinse thoroughly with cool water to reveal shimmering blonde hair. Avoid contact with skin and other absorbent material, if possible use gloves as staining may occur. Available in 300 ml and 1 litre.